Owners of Amy’s Cupcake Shoppe and Angel Food Bakery & Donut Bar share their baking backgrounds and philosophies. Dessert can truly transform where you are. One bite of lemon pound cake with a light lemon icing drizzle, and I’m back in third grade eating my mom’s homemade recipe at my big sister’s birthday party. Whether we choose to dress up or strip down our desserts, one thing remains the same: the memories. Katy Gerdes, owner of Angel Food, and Amy Brace, owner of Amy’s Cupcake Shoppe, have a lot in common. Not only are they both owners of two GLBT-friendly bakeries in the metro, but they’ve both also fallen completely head-over-heels in love with the art of baking. Though Gerdes didn’t get her start in baking, she eventually found it when she realized she was unhappy with her current life in the fashion industry. Since then, Gerdes has found great success with her bakery and donut bar. She says they’ve been called one of the country’s “coolest urban bakeries,” and they now have a second location at the Minneapolis-St. Paul International Airport, making them the first-ever 100-percent-from-scratch bakery in the airport. Gerdes says much of their clientele are in the GLBT community, though it’s hard to say how many of her clientele are because they’ve become such a strong backbone to her company. One of Angel Food’s most iconic creations has even become a symbol of the GLBT community. 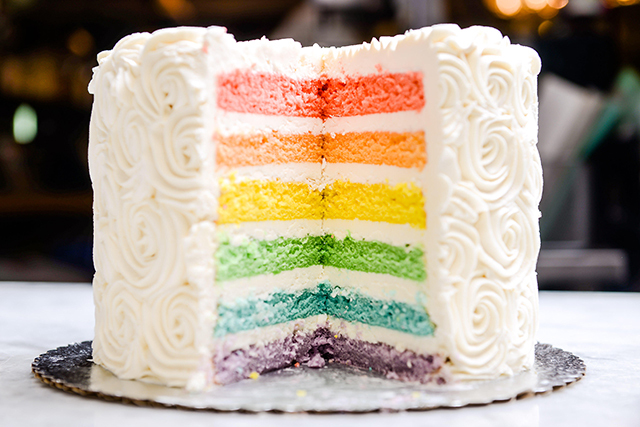 “When we opened, we started making rainbow layered cakes. They were not specifically for ‘gay weddings’ but that became a popular option. I sat down with a wedding tasting one time, and the women very hesitantly said, ‘It’s a gay wedding, and we would love if you could make us a wedding cake, but does it have to be the rainbow cake?’ I couldn’t help it and started to laugh and said, ‘Of course not! How about we just make you a wedding cake, and it can be whatever kind you want,'” Gerdes says. Overall, Gerdes says her baking style incorporates comforting elements of classic baked goods with fun designs and whimsical flavors, such as her French cruller glazed with honey, rosemary, and brown-butter or her peanut butter cookie spiced up with curry powder, white chocolate, and potato chips. 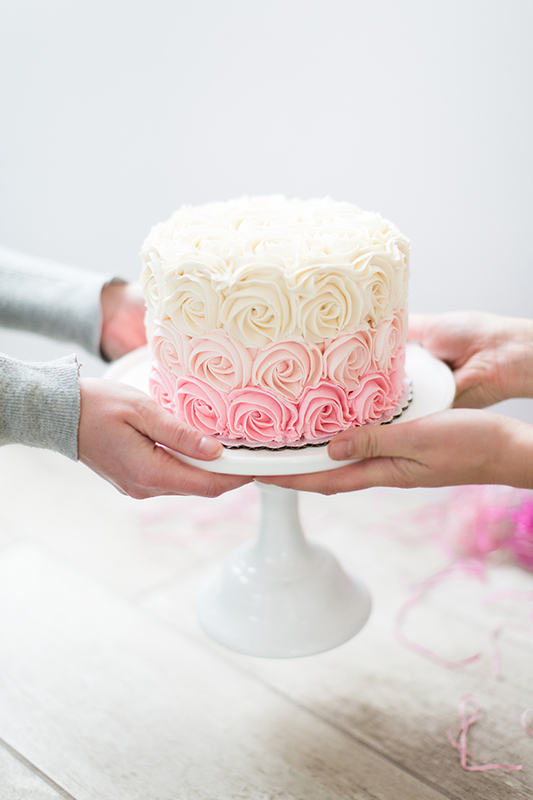 “Flavor is always the priority, but I also try to bring some of my design background into baking to create treats that are almost too pretty to eat,” she says. Like Gerdes, baking has always been Brace’s one true love that took a little time to find. Having been baking with her mother since she was a little girl, baking had always been a strong part of Brace’s life, but she says she actually grew up wanting to be a doctor. Like Angel Food, Amy’s Cupcake Shoppe makes everything from scratch. Brace says you can always tell when something is homemade with love, which she ensures is shown in every product they offer. 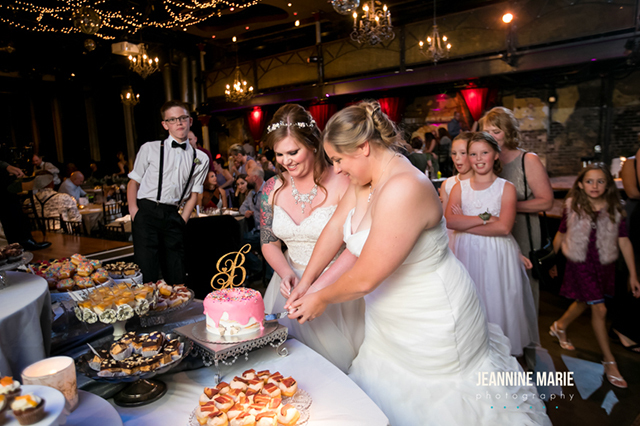 “We’ve had the opportunity to provide desserts for so many weddings over the years. 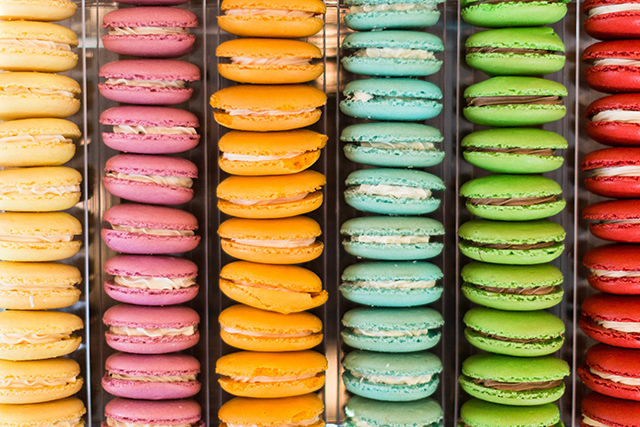 We offer a wide variety of desserts including cupcakes, cakes, French macarons, Belgian waffles, mini pies and tarts, mini cheesecakes, and many more amazing things. We aren’t just cupcakes, and we have had so much fun creating dessert tables for couples. We also have options for gluten free, vegan, and many other options as well. If you have a special foods need, we are more than happy to try making it,” Brace says. Having experience with owning and operating successful businesses, Brace and Gerdes both agree that inclusivity is an important ingredient to every recipe. “Everyone should be able to eat delicious desserts at their wedding, and what a more joyous occasion than being surrounded by your biggest supporters and favorite people in all the world. Weddings should be filled with love and delicious dessert. We love including everyone from every background at the shoppe. Besides desserts, love is our favorite,” Brace says. Gerdes says when she initially started Angel Food, she wasn’t setting out to become known as a GLBT-friendly bakery, but she’s glad they are today. For more information about Angel Food Bakery & Donut Bar and Amy’s Cupcake Shoppe, visit their websites at angelfoodmn.com and amyscupcakeshoppe.com.